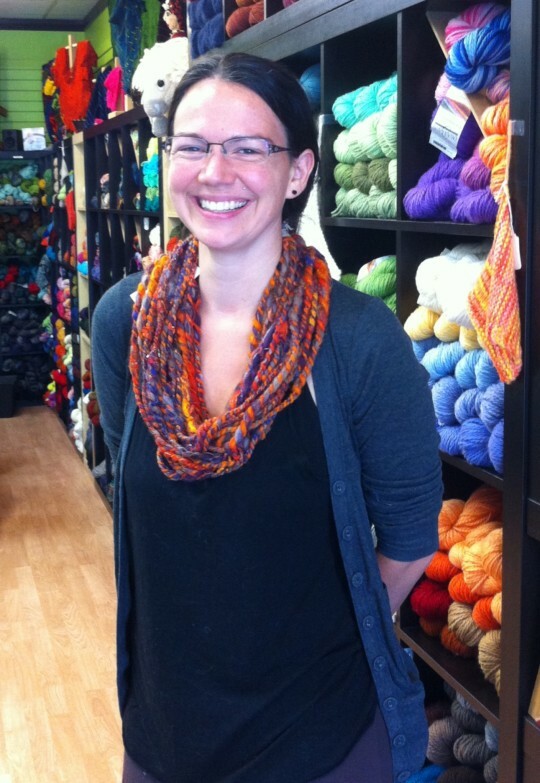 Freeform Crochet with Sarah Elizabeth! 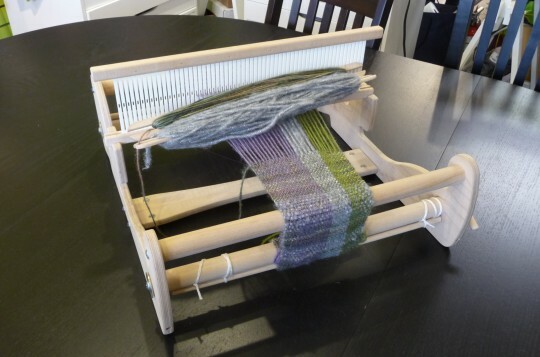 We’re having a weaving demo! 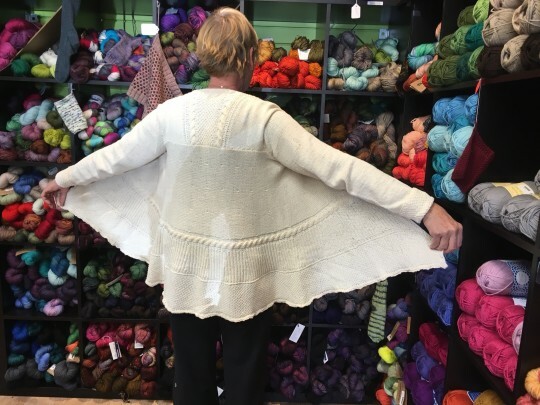 Today’s finished object is Rhonda’s “Meridian” She knitted it in HiKoo’s CoBaSi yarn, and did an amazing job! 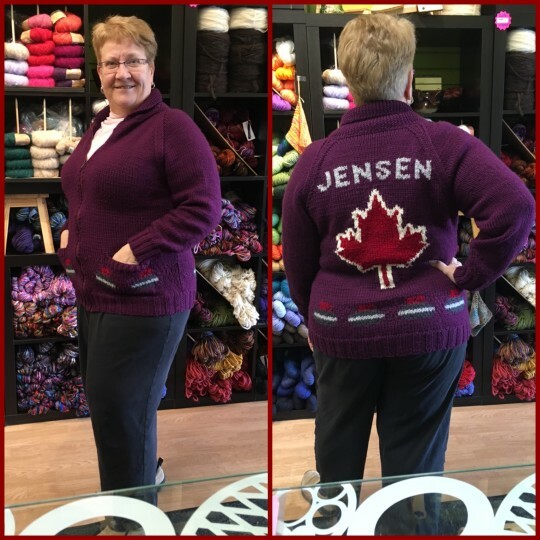 Today’s finished object is the “Jensen” sweater! 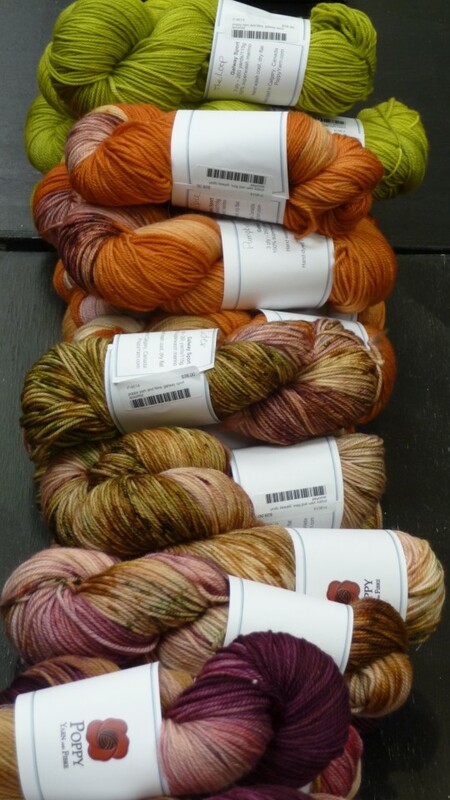 Knitted in Estelle Chunky, personal pattern by Doreen. She really “rocked” it!! 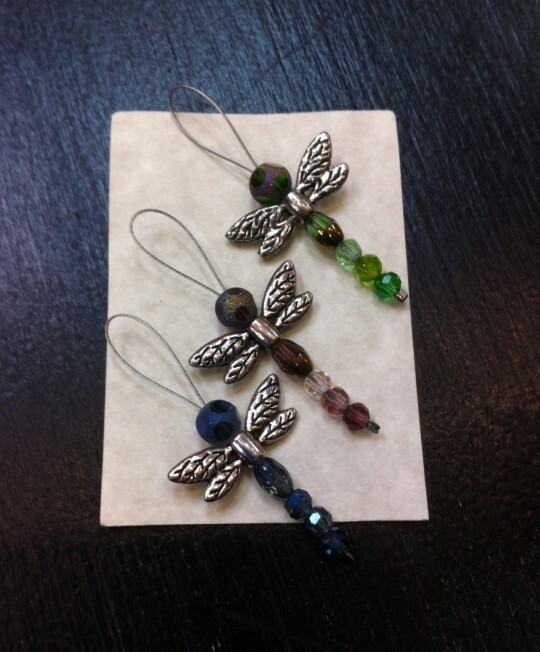 Our September winner in the great Techni-KAL is… shelleynordin! 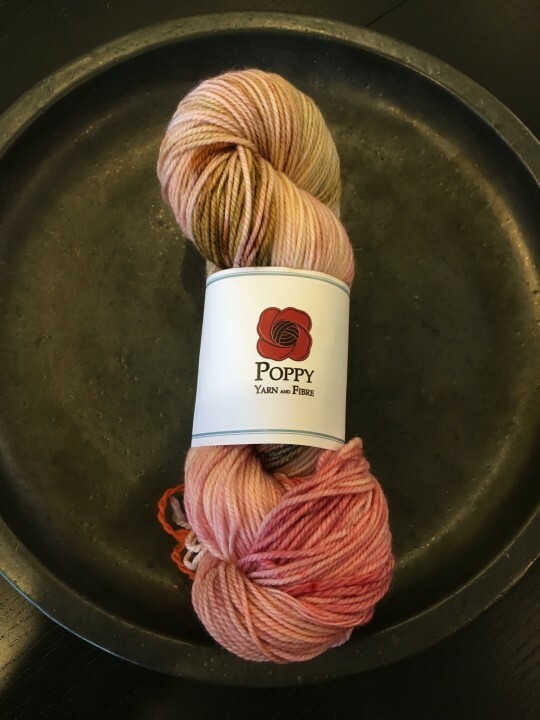 She wins a skein of Poppy Yarn’s “Galway Sport” in the “Cider” colourway, and a copy of the Honey Cowl pattern! Congratulations!